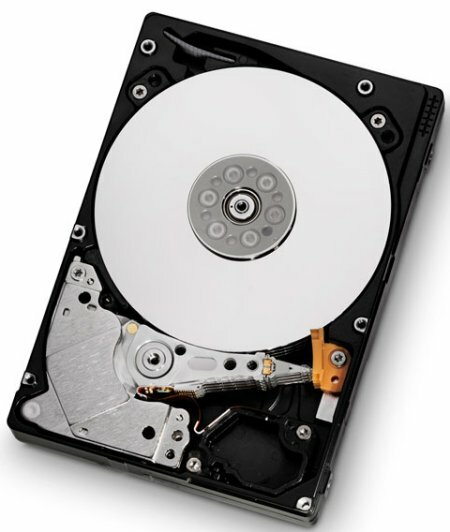 Hitachi uncovers the Ultrastar C10K900, a new 10,000RPM enterprise HDD that offers up to 900GB of storage capacity. Hitachi Global Storage Technologies (Hitachi GST) today announced that it is now shipping its new Ultrastar C10K900 enterprise drive family. Continuing its quality and performance leadership, the Ultrastar C10K900 leads the industry with 18 percent faster sequential and up to 17 percent faster random performance than the nearest competitor¹. It also features a high-performance SAS 6Gb/s interface for reliable data throughput and packs a 64MB cache buffer to optimize the read/write response time. The new Ultrastar drives feature average seek times as low as 3.8 milliseconds, and its fast rotational speed reduces average latency time to below 3.0 milliseconds, enabling customers to access data more quickly and efficiently. As the company’s fourth-generation, small form factor enterprise hard drive, the Ultrastar C10K900 also hits the industry’s highest 10K capacity point at 900GB, delivering more capacity for less space for greater configuration flexibility. The new Ultrastar C10K900 family is available in 900GB, 600GB, 450GB and 300GB capacities. Built using proven Hitachi power management technology, the Ultrastar C10K900 continues to deliver industry-leading low power specifications, up to 28 percent lower than competing drives. This is of primary importance in today’s data centers, which translates into reduced power requirements and lower cooling costs. Hitachi Advanced Power Management technology, with multi-state idle modes, maintains compatibility with the INCITS T10 Technical Committee industry standards and can be pre-programmed or manually initiated in the system. The Advanced Power Management implementation in the Ultrastar C10K900 delivers superior random read/write operating power specification of 5.8 watts and idle mode of 3.0 watts. Ultrastar C10K900 continues Hitachi’s tradition of environmental leadership with its halogen-reduced components and focus on low power consumption, and carries the Hitachi EcoTrac™ classification. "When combining the drive’s capacity, leading performance, low power and proven quality design, the Ultrastar C10K900 is the ideal choice for today’s enterprise-class servers and networked storage arrays," said Brendan Collins, vice president of product marketing, Hitachi GST. "Because of our quality reputation and commitment, we are thrilled to report that our enterprise drives continue to be recognized as a leader in quality and reliability by OEM customers worldwide. We are confident that with our new Ultrastar C10K900 drive family, Hitachi customers will continue to benefit from our field-proven platform, industry-leading technology, performance and high reliability." The Ultrastar C10K900 is designed to provide higher server/storage density through a compact 2.5-inch design, a low-power profile and improved thermal characteristics. The small form factor drive occupies 70 percent less physical space and consumes up to 65 percent less power than similar 3.5-inch enterprise drives. The Ultrastar C10K900 also delivers capacity parity with 3.5-inch 10K drives, providing massive 900GB of storage space in a smaller footprint. When faced with space and power limitations, the resulting higher density servers and storage arrays help reduce space requirements, lower cooling costs and improves total cost of ownership. The Ultrastar C10K900 family features a Bulk Data Encryption option for hard drive-level data security. These self-encrypting models are designed to the Trusted Computing Group’s Enterprise A Security Subsystem Class encryption specification and allow customers to reduce costs associated with drive retirement and extend drive life by enabling swift and secure repurposing of drives. Hitachi GST is now shipping Ultrastar C10K900 qualification units with volume shipments in Q1 2012.